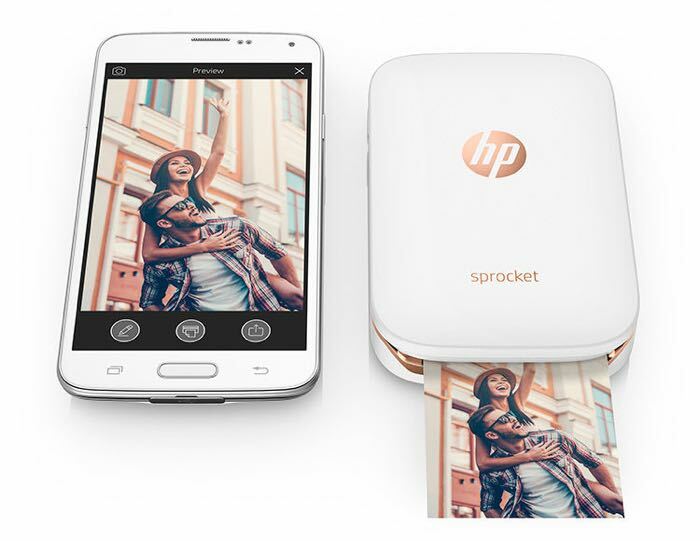 HP has announced the launch of a new printer which is designed to print your photos, the HO Sprocket. The Sprocket is designed to be a portable printer that fits in the palm of your hand and you can print photos direct from your smartphone or tablet. HP envisions the new device finding popularity with teenagers and millennials who are drawn to fun, stylish gadgets that might be a hit at social events. In fact, that’s precisely where HP sees Sprocket finding its biggest following – at parties and other gatherings where fun-seekers might be taking selfies or looking at social media posts that they would like to print out, share nd take home with them. HP ZINK® Photo Paper delivers bright, glossy photos without ink or toner cartridges, — all the color required for printing is embedded in the HP ZINK® photo paper itself. It delivers printed snaps that are vibrant smudge-proof, water-resistant, and tear-resistant. Peel off the backing, and the photos become stickers to decorate bags, scrapbooks, journals, and walls. You can find out more details about the new HP Sprocket at the link below, the printer will retail for $129.99.